What Questions Should You Ask Your Private Mortgage Lender? A private mortgage is a great option if you are having issues borrowing from a bank or if you are looking to have your mortgage application approved quickly. A private lender provides the loan with less red tape and processes your application in a timely manner, so you can make an offer on the property sooner rather than later. Whether you are borrowing for personal or business purposes, these are some of the questions to ask your private mortgage lender. Private mortgage lenders may offer a range of mortgages, such as caveat mortgages, equitable mortgage, first-ranking mortgage or second-ranking mortgages. If you are looking for a specific type of mortgage, check with the lender about the types they offer so that you can find the right type of mortgage for you. How quickly can you assess my application? 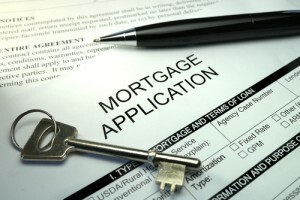 Private lenders are usually able to process applications much more quickly than a traditional lender or a bank. The private lender tends to focus on the security – the property to be used as collateral for the loan – rather than on ‘red tape’ processes and the applicant’s credit history, which a traditional lender might be more focused on. Generally, as long as the borrower has sufficient equity in the underlying security, a private lender may be able to approve a loan much more quickly than a traditional lender. What interest will I pay on my mortgage? With a private lender, interest repayments can be prepaid during the life of the loan or capitalised throughout the term of loan, depending on your preference. Ask the lender about the applicable interest rates to find out more. Government regulations require lenders to advertise using a comparison rate. This amount takes into account the total amount of the loan, the term of the loan, how often repayments are made, the interest rate, and most importantly, any other fees, whether upfront or ongoing. The comparison rate is important because it allows you to compare different mortgages more accurately. However, note that other fees (such as government and statutory fees), lenders mortgage insurance, fee discounts, and event fees (such as fees applied for a redraw on your mortgage) are not taken into account for the comparison rate. Sometimes there are additional fees (such as event fees) that you may not be aware of upfront. Check with the private lender about any additional costs that may be conditional upon specific conditions or circumstances. What are the optional features? If you are looking for specific features, ask the lender about whether these will be offered with the mortgage. Popular features that provide convenience for borrowers include flexible repayment options, direct debit features, and redraw options. Generally, private mortgages can be approved for any amount range from $20,000 to $4,000,000 or more, and up to 65% of the value of the underlying security. If you require more, check with your lender about borrowing larger amounts. Do I need security for my mortgage? In most cases the lender will require real estate as security. You should have some equity built up in the property to be able to borrow against it. If you would like the option to make extra repayments, ask the private lender about the possibility of making extra repayments and whether a fee will be charged if you do choose make them. Can I move my loan to a new property? Borrowers who are planning to move to a new property at some later stage should clarify whether the loan can be moved to a new property, and what the process will involve.